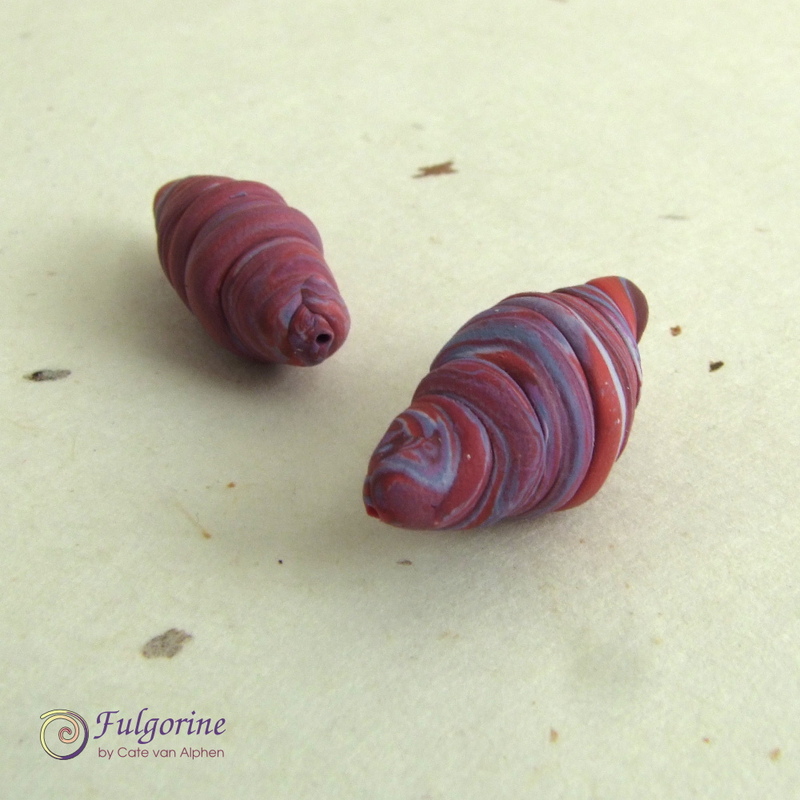 Polymer clay items made every week of 2015. 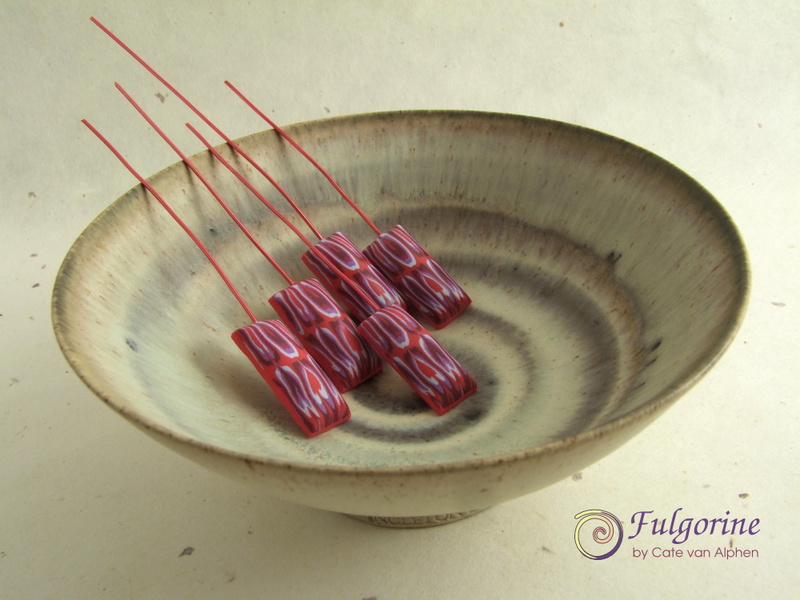 I plan to make beads and components. 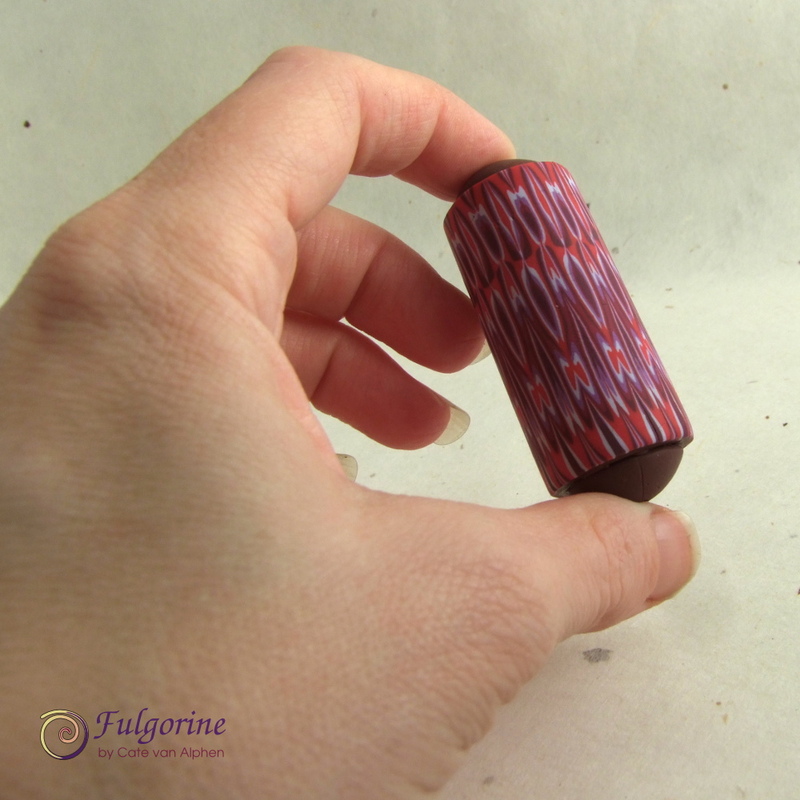 This week I made another jumbo shank button/clasp from polymer clay and wire. 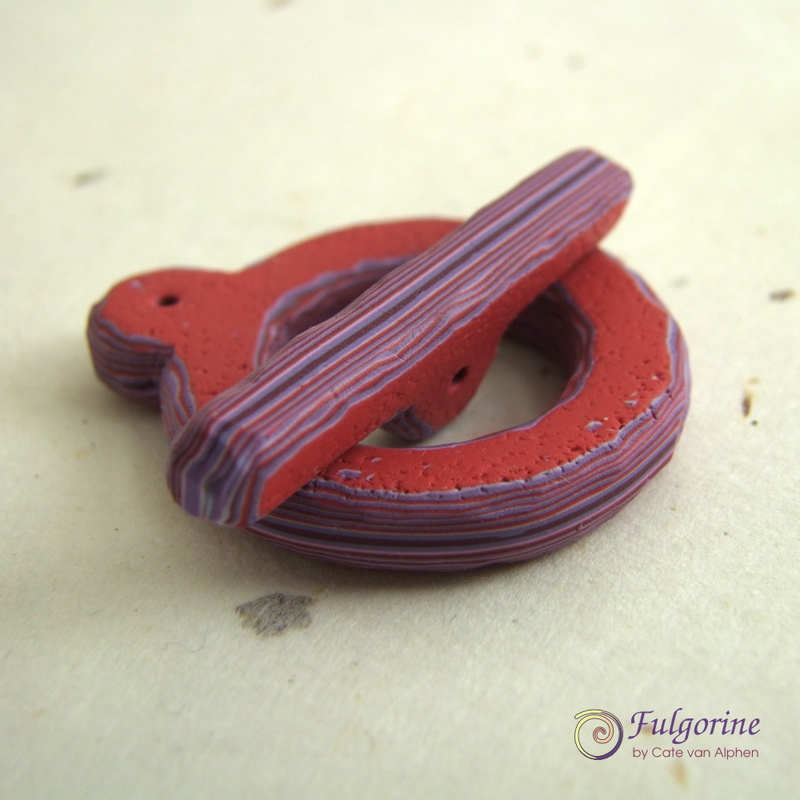 I used some of the scraps from the earlier mokume gane sheet with some slivers of skinner blend. 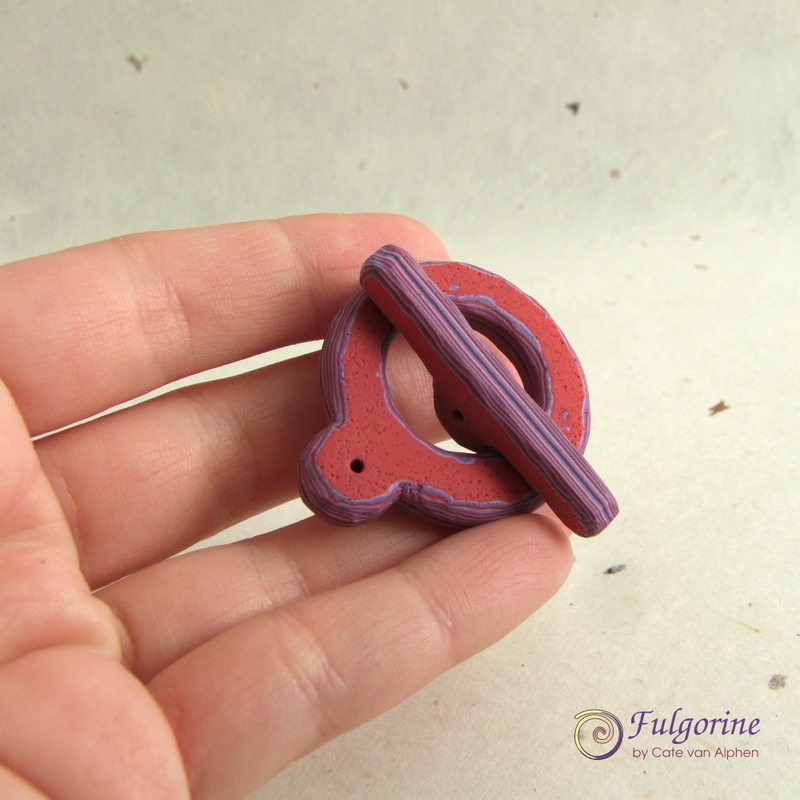 Again I did two loops on the back, so one can be for the necklace and one for the clasp hook. 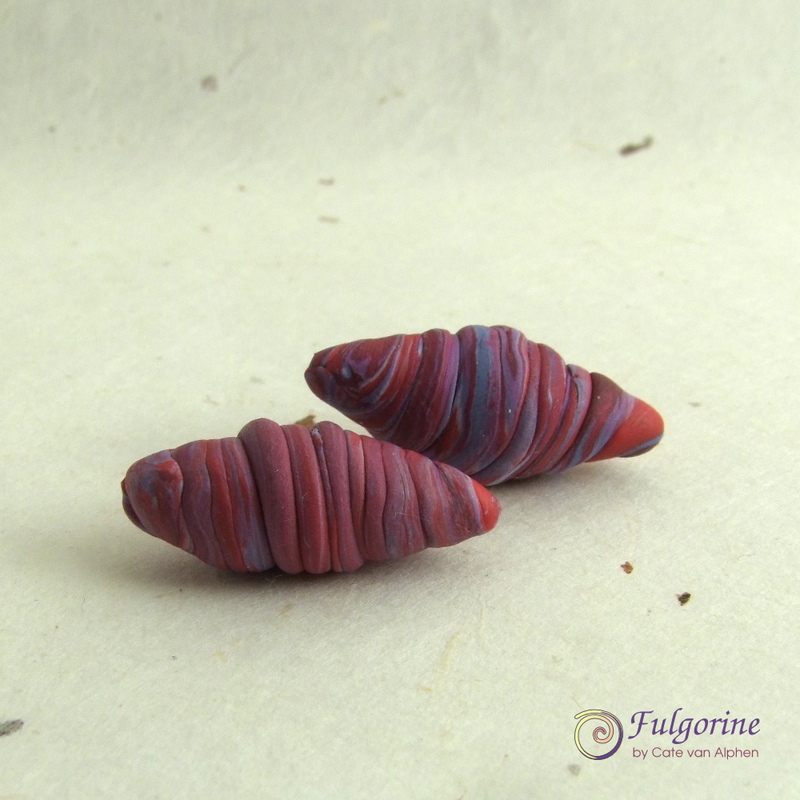 That’s it for week 48 of my 2015 Polymer Clay Challenge. 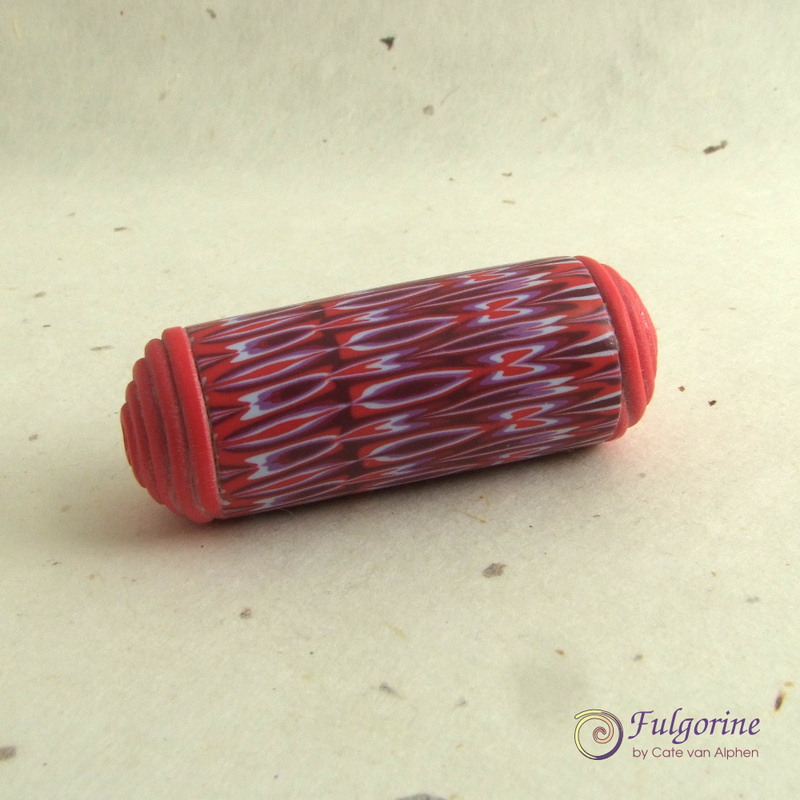 This week of my 2015 Polymer clay challenge I decided to have a go at making a magnetic clasp. I’ve always had trouble with magnetic clasps pulling open. I figured that two magnets are strongest when you pull them directly apart as opposed to bending them open like a book or sliding them sideways. So I tried to come up with a design where you have to pull the pieces apart as there is no sideways movement available. The two pieces are a bit like teeth with interlocking roots. There is a tiny magnet in the centre. Both pieces are the same. I need to let the idea simmer for a bit. In the meantime I’m struggling with my red colour palette. I thought I’d add a sixth colour to match the previous palettes, but now some of the colours are not sitting together well.